Hey everyone! It’s Wednesday, so that means it’s time for some behind the scenes action. 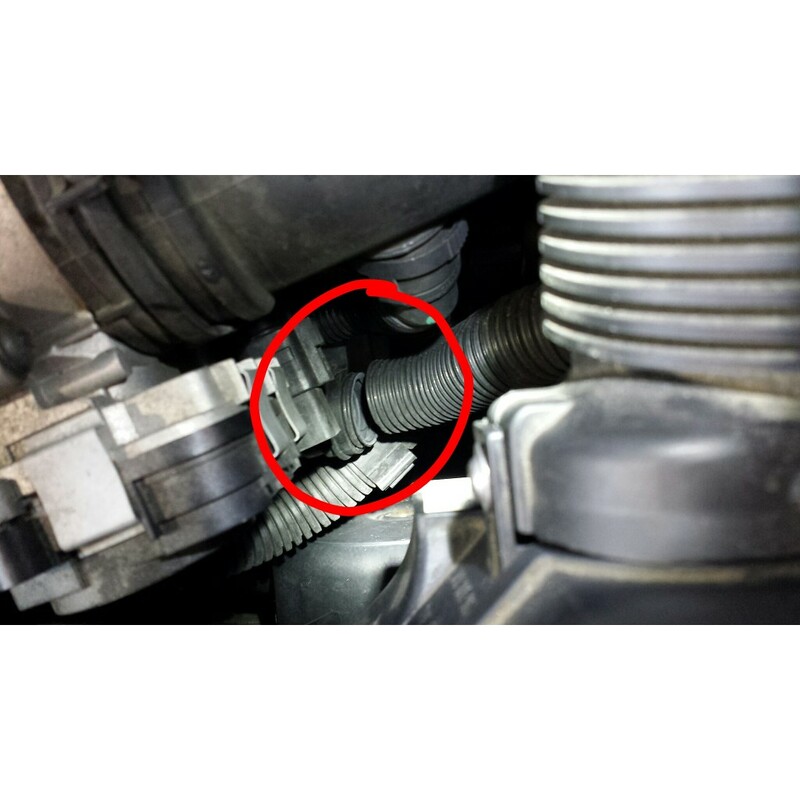 This series is where we look at some of the crazy things that auto mechanics see. Unless otherwise stated, I take each and every one of these pictures. I have a few things to let y’all know before we get rolling. If you have not checked out the Podcast, please check it out. As of now, they live on YouTube. But I am working on adding an audio only version. That will go on Itunes. In addition to the solo Podcast, I have been doing a weekly show with my buddy Rusty. That is a super fun show. We spend about a hour chatting about tons of things in the car world. You can see all of them here. Okay, let’s do some Shot Shots! 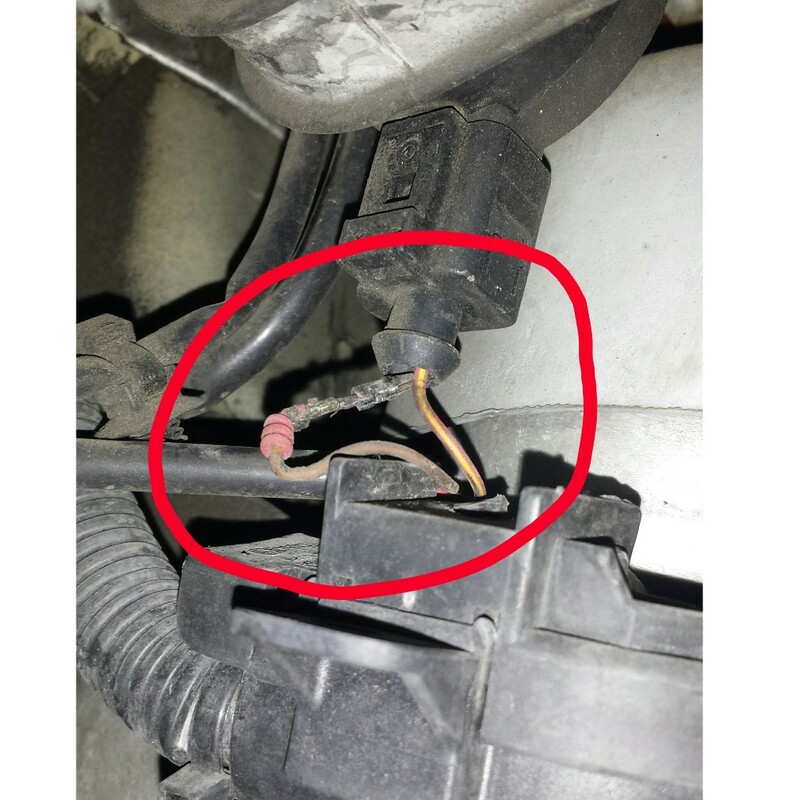 First up, we look at one of the things that VW seems to be known for, WIRING PROBLEMS! I must say, I do fix a fair amount of wiring issues. I am just at a point where that is normal. 😉 I was working on a Passat on Monday. This car was not in that great of condition. As I was looking over the car, this caught my eye. This is an electrical connector for the after run coolant pump. I wasn’t really looking for any issues here, but this pin out of place really caught my eye. I am not really sure how this pin came out of the connector. There are 2 different locks that hold the pin in a connector. I will be working on this car again today. Hopefully I can get the pin back in. Next up we have another “stumble upon” thing. This Golf came in for a check engine light diagnosis. One of the things I do while waiting for the scan tool, is to just look around. Some times the universe presents information to you, and this is one of those times. I opened the hood of this car, looked down and spotted a broken hose. I went back to the scan tool to find out the code. It may come as a shock, but it was related to the broken hose. The fault was stored for a secondary air pump leak. This is the pressure hose of that system. Sometimes, it is nice to be lucky. Last up today is something that makes me really mad. It makes me made because I know this was done at a dealer. A customer of ours was out of town. When she was out of town, her transmission failed. She had the transmission replaced at another dealer. Luckily she was still under warranty. A day later, she called my dealer and said that the car was making a clunking noise. We got her in and this is what we found. 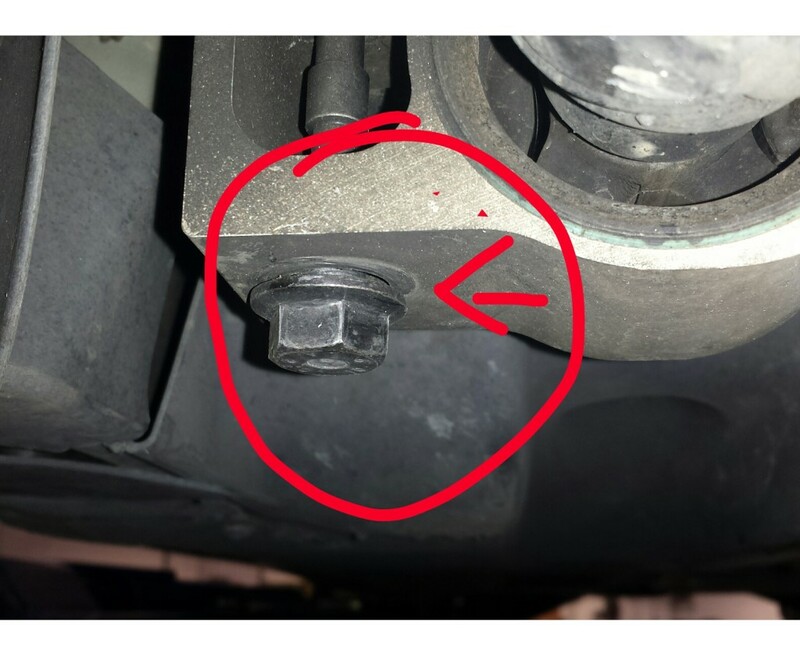 The “tech” that did the repair, left 4 bolts loose in the subframe. Not only were the bolts loose, but they were not installed in the proper location. We got the customer all fixed up. The other dealer paid for new bolts, and the labor to install them. She was pretty darn happy that it was an easy fix.